For people looking for TCS Syllabus 2019 for both On Campus and Off Campus Placements this post will answer all the questions for you. Trust India’s No.1 website for Placement Preparation and the latest TCS Test Syllabus 2019, you can bookmark our website by pressing CTRL + D using any browser. This articles covers all the information about TCS Syllabus 2019. All the other website show you old Syllabus for TCS. we have the latest TCS Written Test Syllabus for 2019. 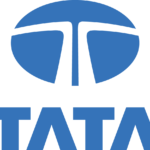 TCS has changed their TCS Test Syllabus for 2019 and there are new section that are introduced in the recruitment test. Read the whole page end to end to not miss any minute information regarding the test. TCS has also changed the question bank for the test this year so no other website except us has the latest questions in the exam. You can read more detailed Test Syllabus for TCS here on this page. First we suggest you to check the eligibility criteria for TCS here on this page. Find more detailed Syllabus for Quants section here on this page. No other website has this section, except us. This is not a general coding round, here rather than normal C/C++ etc you have to use command line programming language. You can find Command Line Programming preparation guide on our TCS Dashboard. The new pattern has now 10 questions of English and the time give is 10 mins. You can find the questions asked in TCS on our TCS English Dashboard. For this you can visit our TCS email Writing Dashboard here. Considering the tcs email writing rules according to me an ideal email in TCS Placement Papers email Writing Section must be small and should not contain unnecessary information that should deviate from direct call to action for the email thus ideally you should write the email covering up most of the phrases that they will provide to you that is important and write and email in about 80 – 85 words in tcs email writing rules. Write to the HR of “ABC Limited” for problems you are facing in doing internship from there. Intership from ABC Limited – project manager – unavailable – holiday leave 1 month – no industry exposures – mentor unavailable – access right – manufacturing area – not given – suggest solution HR. Thus it is advisable to write in normal English with good grammar and spelling and punctuation in TCS email Topics. Don’t make spelling mistakes. Be sure about the words you are using. Better avoid using words for which you do not know the meaning. Use simple sentences rather than compound and complex sentences. Proper word order is very important to convey the intended meaning. Don’t skip any of the given words/phrases. Avoid use of “Dear” and if you are not clear about the gender of the name given avoid using title. You may use “Dear Sir/Ma’am”. Keep your E-mail crisp and to the point. Note – in Email writing section you are given marks out of 10 by AI developed by TCS to compute your marks. TCS Questions on Quantitative Ability and Reasoning MCQ – This section has quantitative aptitude questions. Please refer previous year TCS papers and prepare. Prepare for TCS specific aptitude topic, thanks for letting me know PrepInsta. TCS C MCQ Questions on Programming and Computer Science MCQ – This round is of 20 minutes. It is based on C language, C++ and DSA and please prepare all the basic concepts of C to clear this section. Coding Test –As observed in TCS Previous Year Papers round is for 20 minutes. In the new pattern you can use C, C++, Java, Python, Perl. The test is based not based on Command Line Arguments anymore, which is different from C/C++, if you don’t get output in this section you’re not selected for next round. Do note that you need to do all the rounds well as all of them have sectional cut offs in TCS Previous Year Placement Papers. Even if you cant score well in one round you wont be selected even though you had done the other rounds well. Email Writing TCS Questions – This is round is of 10 minutes. I had to type the letter without any mistakes and also note that the use of punctuations and and giving space after comma and fullstops plays a major role. My college placement officer send me the link to apply for the job through nextstep.tcs.com .After that I got my hall ticket and application form on jan 17. Then I got my date for online test on jan 31st in Sreyas engineering and technology college HYD, Nagole. I looked for the previous questions then I got to know about prep insta in FB page and I sent a message through facebook about the TCS recent aptitude and programming questions. They send me the document file it contains 285 -TCS questions. I started preparing for the written test only form the prep insta document. Is similar to the previous TCS section where a candidate has to write an Email. A candidate has to write an email in a given scenario. There is no negative marking in this section.Time-20 mins. The reset of the questions you can answer because you have more time to answer them.30-questions Time-60 mins.you have negative marking 0.33 minus. After that I got mail on feb 6 venue details and timings.venue-MGIT HYD on 10th FEB reporting time-2:00pm. MR questions: If you want to start a company what type of company you will start and what are the constraints you maintain? She ask many questions on it. Questions based on your answers. Questions based on your resume technical skills so be prepared on them. Mainly they focus on your project be prepared many questions raised on it. What type of projects it is dealing with? Your answers should be unique way ,because everyone answer in the same way. Whole process taken for 20 mins. ALL THE BEST!!! HOPE IT WILL HELP YOU! !